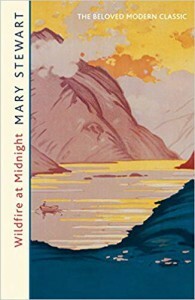 This was an interesting first dip into the works of Mary Stewart. Stewart created an atmosphere for the story that was almost tangible. It beautifully written and very much made me feel like I was there, on Skye, on a overcast day, just waiting for the clouds to break. Unfortunately, the main characters and the utterly implausible, ridiculous plot left the book wanting. It mostly wanted a good slap. I also wish the leading woman had pushed her ex-husband off the ferry at the end. Still, I'm keen to try another one of Stewart's.